This is a simple hat using double crochet stitches, finished with a star stitch border and embellished with flower appliques. - Caron Simply Soft yarn (color A); yarn weight Aran/ 10 ply, approx. 70 g.
- tapestry needle to sew in the ends. 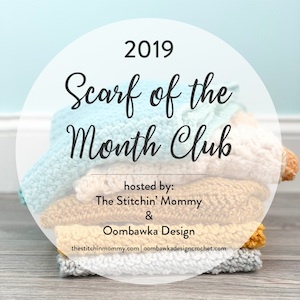 Notes: To have pretty seamless rounds, the increase rounds (for the crown of the hat) are started with the chainless starting double crochet (csdc). Using a 5 mm crochet hook start with a magic ring. At the end of round 13 sl st with color B to top of first dc! With a 4.5 mm hook and yarn color C make a magic ring. 5 hdc into ring, join with sl st to top of first hdc. Cut yarn. Fasten off. Join yarn color D into top of a hdc of the flower center. *ch 2, 3 dc in same st, ch 2, sl st into next st *, repeat from * to * 5 times. (5 petals made). Cut yarn leaving a long tail to sew the flowers on the hat. Fasten off. Sew the flowers on the hat. 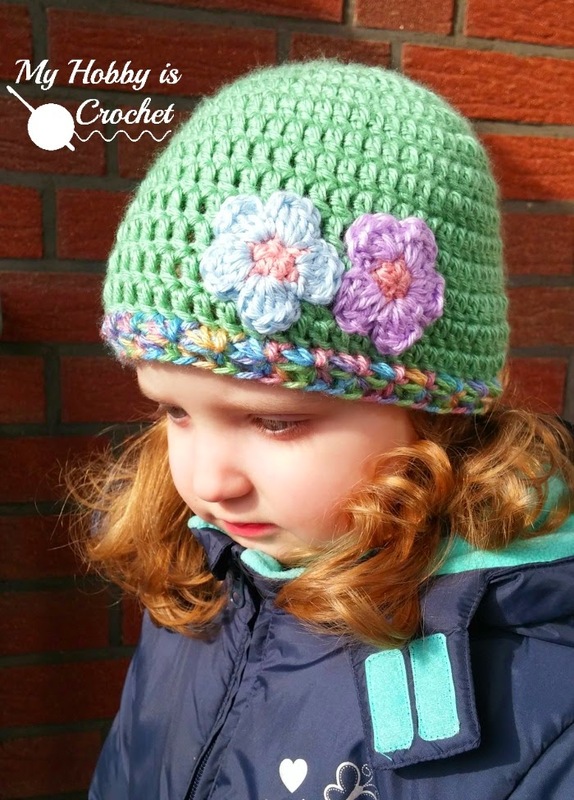 Touch of Spring Hat - Written Instructions and Pictures Copyright © 2015 Kinga ErdemThis pattern is free for your personal use, you can sell the products of your work, a link back to my blog would be appreciated. Do not use my photos for selling purposes or modify them in any way.